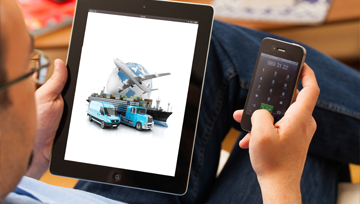 In the transportation sector, enterprise mobility and enterprise file sharing can be used in a many diverse ways, from secure information sharing across locations and operators to specific use cases such as an electronic flight bag, where electronic documentation can replace physical paper and checklists. With Acronis Files Advanced, transportation firms can provide secure access to content from file servers, NAS, SharePoint, and personal devices anytime, anywhere on all popular mobile devices and desktops/laptops. This can improve customer service with remote workers and better visibility through the distribution chain. Deployed on-premise for total control and protection, Acronis Files Advanced has a policy engine that provides granular security and management controls. Users have mobile access to all information they need to do their job and provide critical information and service to their customers. Transportation firms can also choose to enable file sharing to allow collaboration between colleagues and also sharing of documents and files with customers.